MSI has launched a new laptop for creators at IFA 2018. 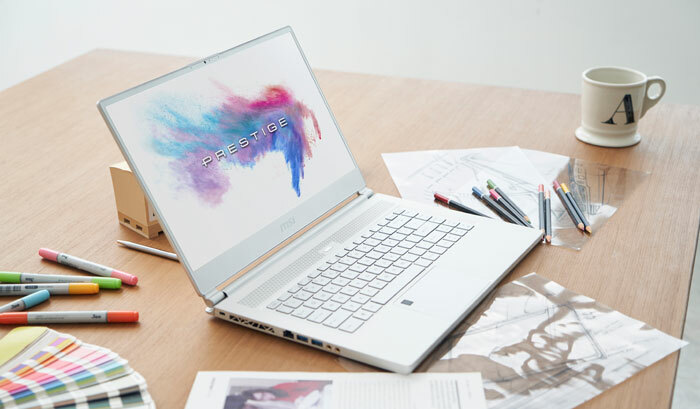 The new MSI P65 Creator is designed for photographers, designers, 3D animators, and do on - but if you look closely you will see it is very similar to the Stealth GS65 model which is a popular thin and light gaming laptop. The Stealth GS65 was already rather minimal and muted in design for a gaming laptop but the new P65 Creator adds more creator friendly features such as a fingerprint reader. It eschews RGB lighting for simple functional white keyboard backlighting, and it comes in a choice of White (limited edition) or Silver finishes. Lastly the MSI P65 Creator laptops don't all come with 144Hz displays or Thunderbolt 3, only the special edition model is listed as such. The MSI P65 comes in a choice of two finishes. 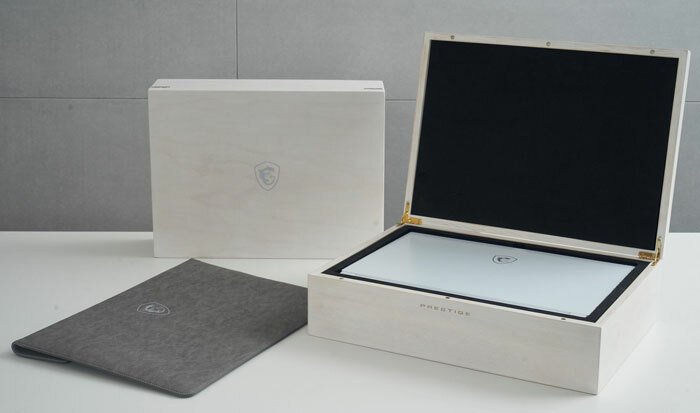 There is the standard silver aluminium finish, and a limited edition with pearl white aluminium with gold accents (plus suede laptop sleeve and pine wood packaging). 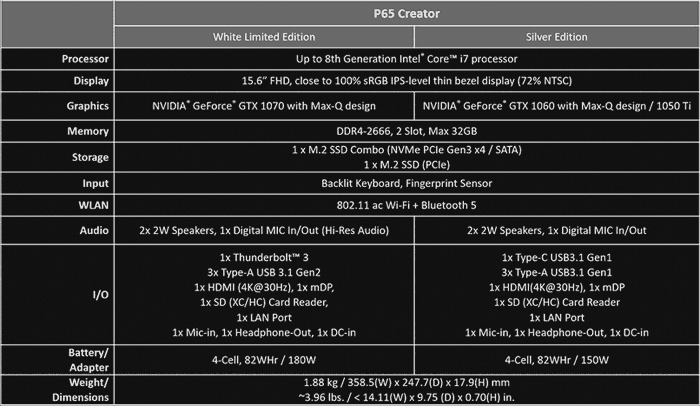 You can see that the special edition includes some more powerful hardware, if you refer to the specs table below. A thin bezel on the 15.6-inch FHD screen keeps this laptop compact and it is just 1.88kg and 17.9mm thick. Like the gaming variant of this design, MSI leverages its Cooler Boost Trinity to maintain peak performance under duress. Users should expect approx 8 hours of battery life, says MSI. Another creator-friendly feature is said to be the 'Modern Life Service' with fingerprint sensor and Cortana voice assistant. MSI's P65 comes with a choice of up to 8th Gen Intel Core i7 processor, and choice of Nvidia GeForce GTX 1060 with Max-Q, or GTX 1050 Ti. The white limited edition raises this spec to the GeForce GTX 1070 with Max-Q Design and 8GB GDDR5. You can see the rest of the key laptop specs and compare them in the chart below. Anyone who purchases the new MSI P65 or PS42 will qualify for a free creative productivity software pack that is claimed to be valued at US$400 (Magix Movie Edit Pro 2018, Fastcut, Paintshop Pro X9, PC Mover Express, Samplitude Music Studio 2017, and more). Unfortunately MSI hasn't shared any pricing or availability dates. However, digging around I found that NotebookCheck reports that the starting price for these systems will be 1700 Euros, with availability from October. Aimed at ‘professionals’ yet comes with gaming graphics card… while I'm not saying they can't do the job, and I'll happily use one myself on my desktop due to budget reasons, it just means this is little more than a new paint job on the existing gaming machine. I agree, but I think they're referring to the software bundle. Hope you don't mind a 1700 Euro price tag for the GTX 1050 Ti 4GB model. Was looking quite interesting as a nice college laptop/desktop substitute till i found the price on notebookcheck. It's not unreasonable to have a discrete GPU for creatives. There's a lot of GPGPU / CUDA stuff out there.